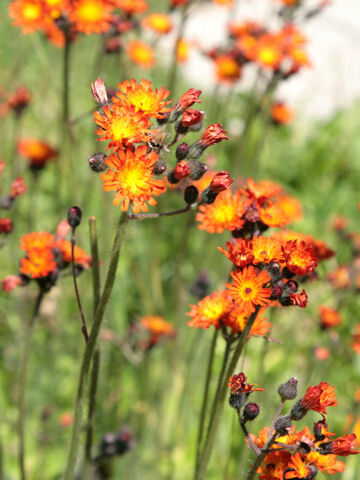 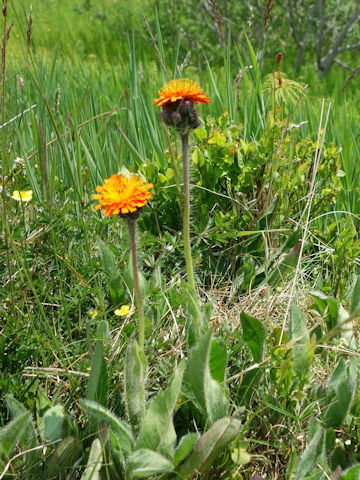 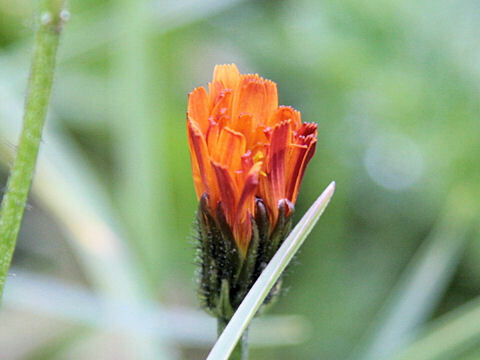 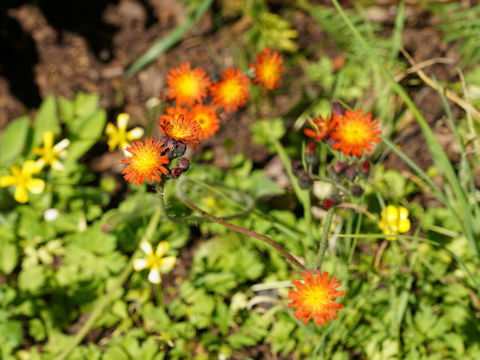 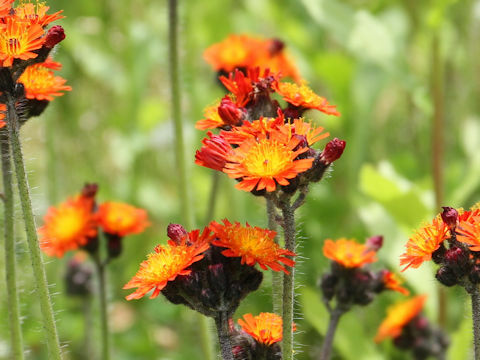 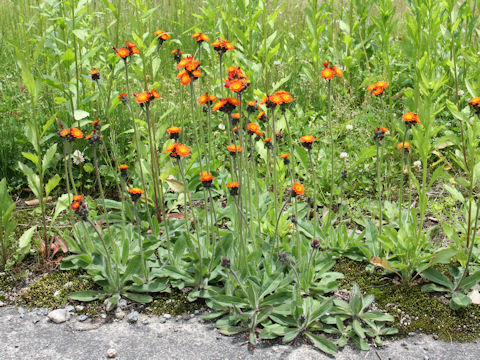 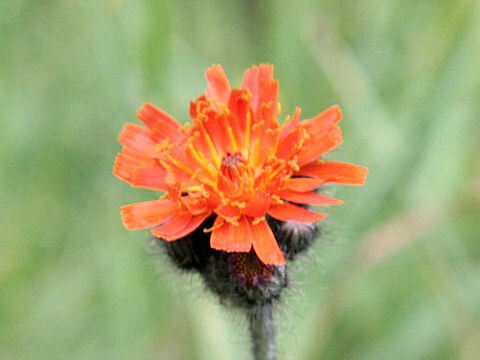 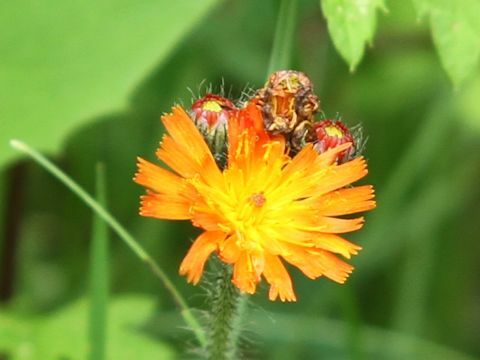 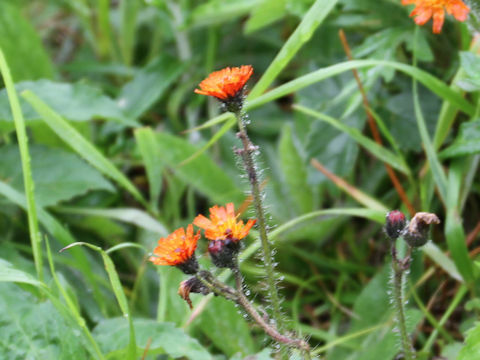 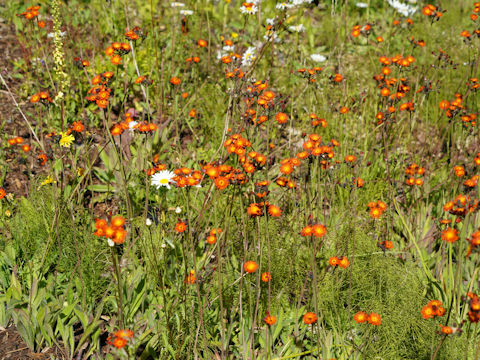 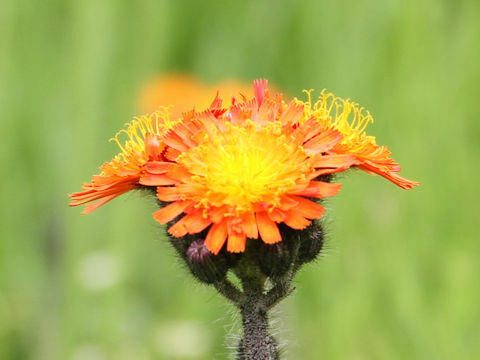 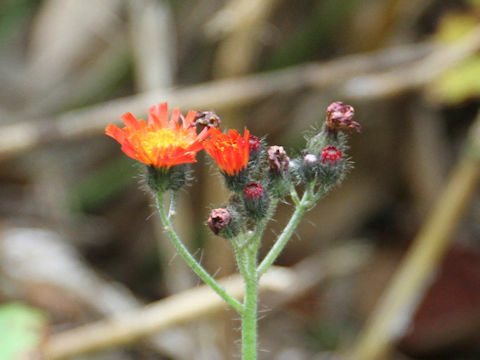 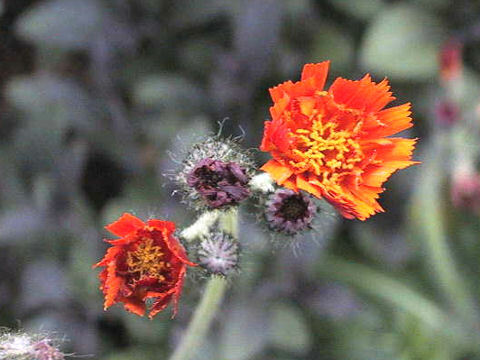 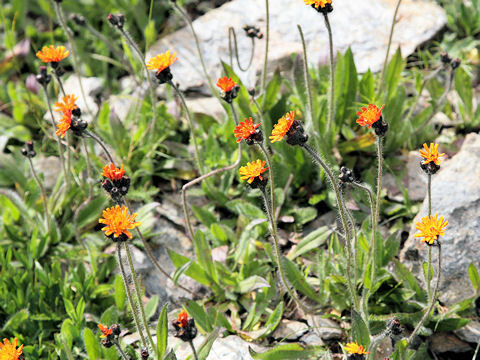 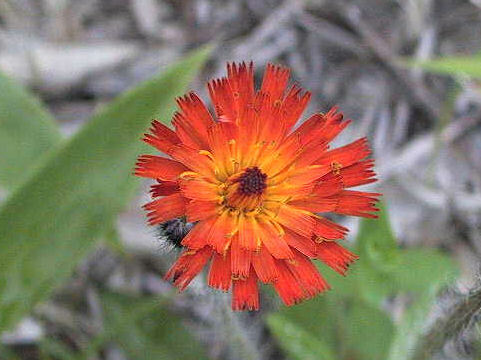 Orange hawkweed (Hieracium aurantiacum) belongs to the Asteraceae (the Aster family). 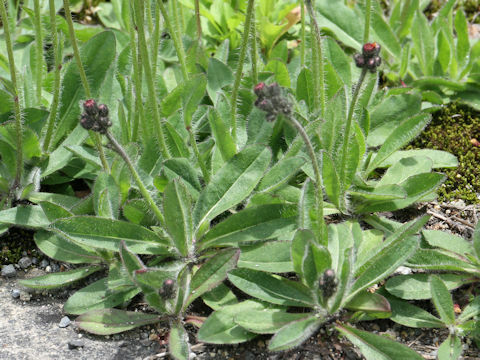 It is a perennial herb that is native to central and northern Europe. 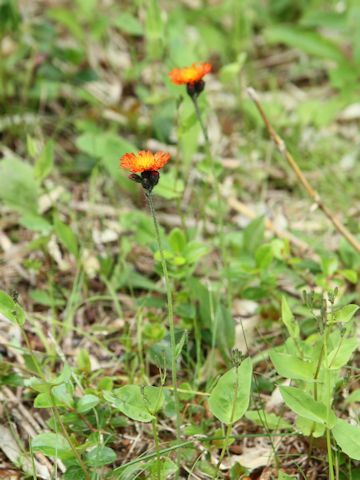 This herb was introduced into Japan as an ornamental plants in the middle days of Meiji Era (about 120 years ago). 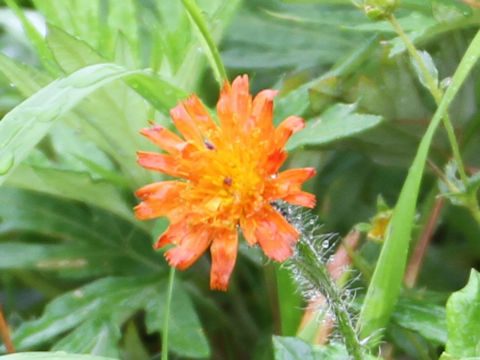 Nowadays it is naturalized in Hokkaido and Tohoku district of Honshu. 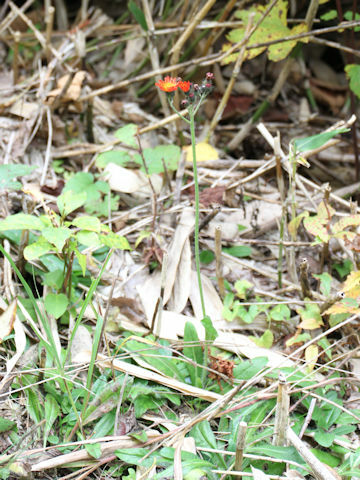 It can reach about 50 cm in height. 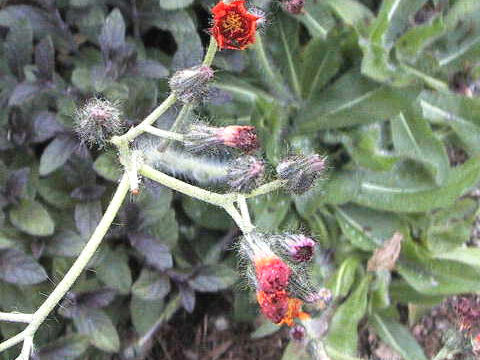 The leaves are oblong and basal. 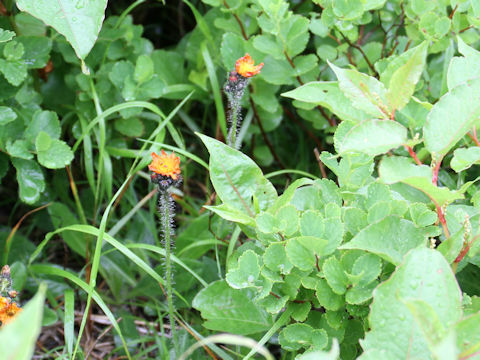 The rose pink to orange flowerheads come on the long stalks from June to August.